Our heritage as designers and manufacturers of the finest bespoke glasshouses in the world is as strong today as it ever was when we first began in 1952. From recreating the original Victorian Thomas Messenger structures and creating something beautiful, to having the privilege of working on some of the most highly recognised gardens; Alitex is the first choice for industry experts. We have rebuilt structures to restore them to their heyday, giving them all the timeless aesthetic qualities of an original structure that will now stand the test of time. Fulham Palace - When we created the design for Fulham Palace's walled garden, we carried out significant testing. This allowed us to easily swim through the challenges of the curved wall. The finished greenhouse was a beautiful modern technological feat, with a glass roof sitting snugly up to the wall. Glenbervie Estate - The project at Glenbervie allowed us to show our extensive capabilities for reproducing an exact replica of an original timber glasshouse. We produced two optional designs, the improved functionality option with guttering and vent features was the preferred option. They were impressed that we were able to replicate the beading, the castings of the finials and cresting, even the curved vine supports. Ramsey Abbey - Ramsey Abbey Walled Kitchen Garden needed a new aluminium greenhouse to replace the area where three derelict timber structures existed. We replaced them with one large 25.5 metre glasshouse using a traditional lean-to and 3/4 span design that would effortlessly fill the space. Cambo Estate - Cambo Country Estate and Garden in Scotland replicated four original glasshouses with new Victorian style aluminium structures. 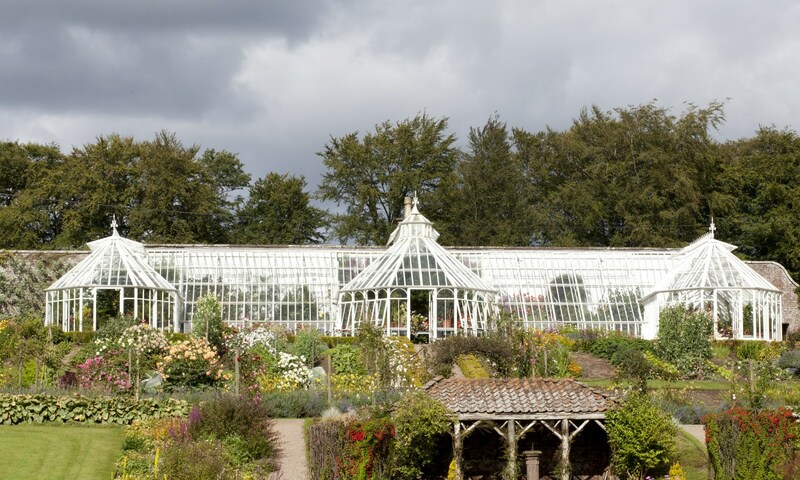 Alitex were deemed the only company fit for the job who were able to replicate the glasshouses and represent the original Victorian characteristics. 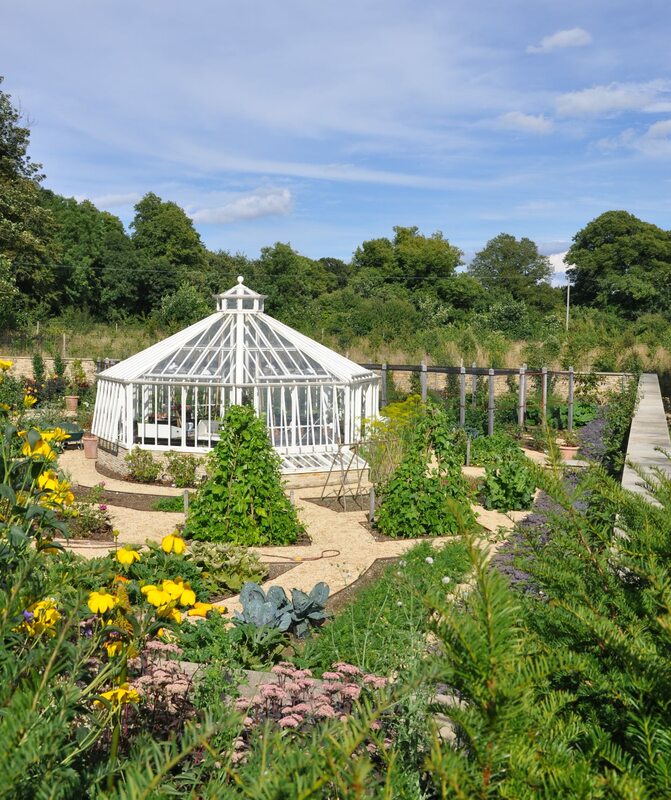 At Alitex, we specialise exclusively in the design, manufacture and installation of aluminium greenhouses, and therefore, cannot undertake the restoration of existing timber structures. We have worked on several projects to create a vision of something new. From capturing the ethos of a popular 'restaurant with rooms' to creating a workable and inspiring space for a new walled garden. The large greenhouse at The Pig on the Beach is at the very heart of an idyllic kitchen garden. It is the perfect example of where we worked in collaboration with the team to ensure that the greenhouse was located in a natural setting for producing crops for the home-grown menu, whilst also allowing guests to peruse during their stay. Since then we have worked with The Pig on numerous occasions to build greenhouses at their other sites around the South West; including The Pig in the Forest and The Pig near Bath. Some projects are a little out of the ordinary that require creative thinking outside of the traditional 'box'. We are often faced with complex designs that bring their own challenges to overcome demanding a keen eye for detail and structural expertise. The Logan Botanic Greenhouse breaks new boundaries; it was the first public greenhouse in the UK to be entirely heated by green energy. The four partitioned zones within the glasshouse allow for varying temperatures for the different planting themes in each zone. Not only is it the glasshouses abilities and features that may be a little 'unusual' but sometimes the shape and size require a little more preparation. Take a look at our Hexagonal Greenhouse case study for insight into how we created the beautiful centre piece for an ornamental kitchen garden.